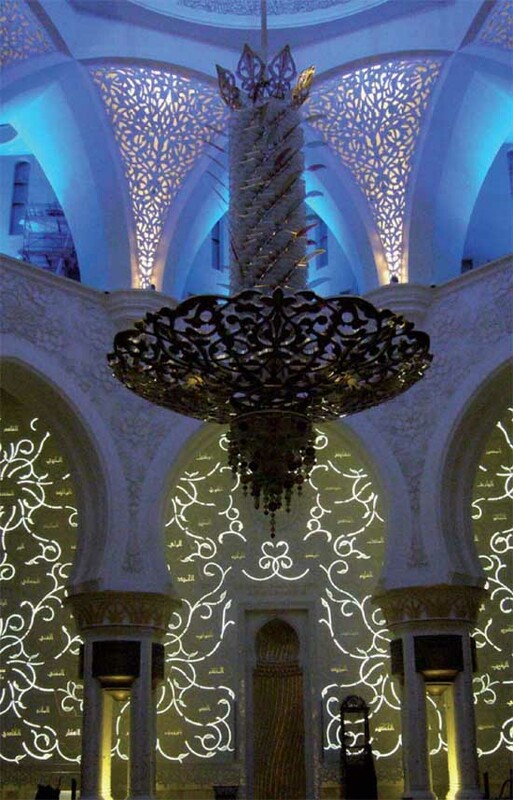 The Middle East Lighting Design Awards (MELDA) recognise best quality lighting design throughout the middle east region. 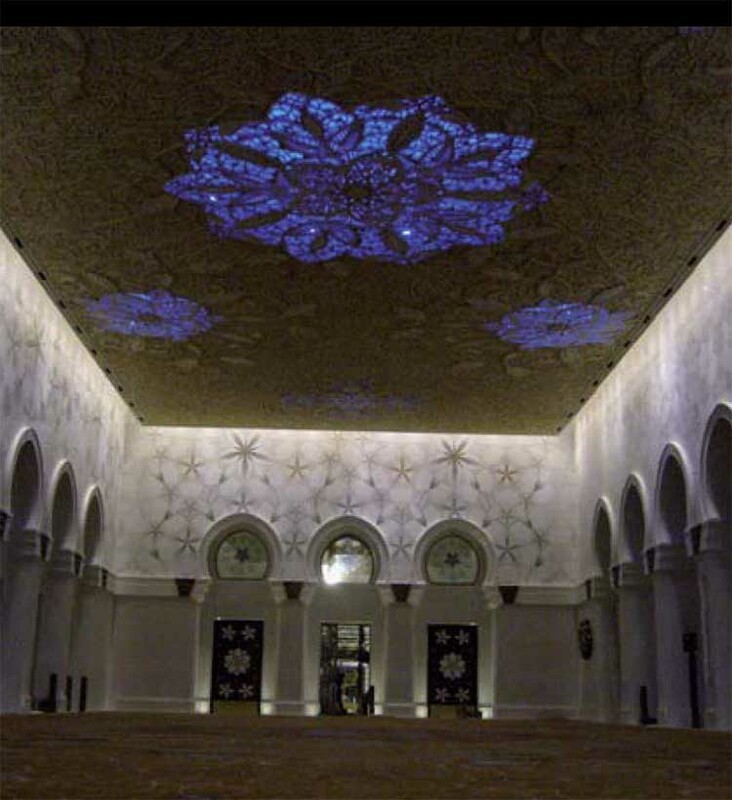 At this year’s MELDA awards the interior lighting for the Sheikh Zayed Bin Sultan Al Nahyan Mosque, Abu Dhabi, UAE (the third largest Mosque in the world) won the Best Public Building Award. 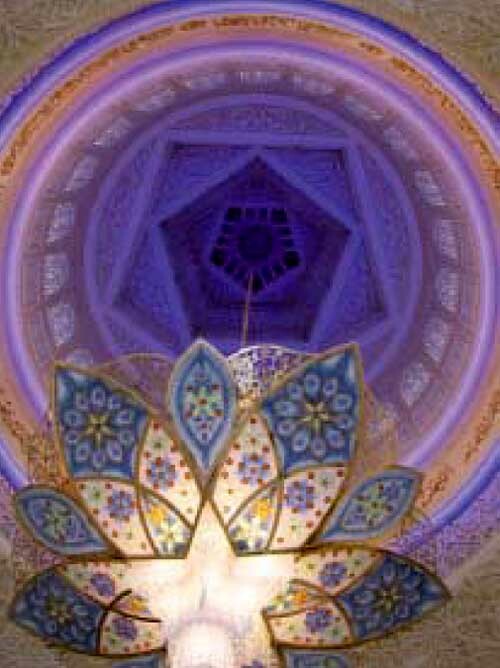 It was further honoured by the judges and was awarded the overall Best Lighting Design Project of 2008. 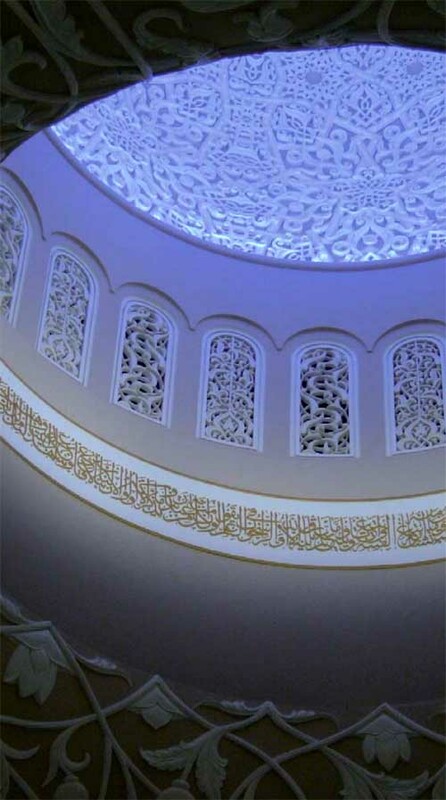 The Sheikh Zayed Bin Sultan Al Nayhan Mosque in Abu Dhabi is a major national religious and educational building, built for the people of Abu Dhabi by their much loved ruler Sheikh Zayed, who sadly passed away before the building was completed. 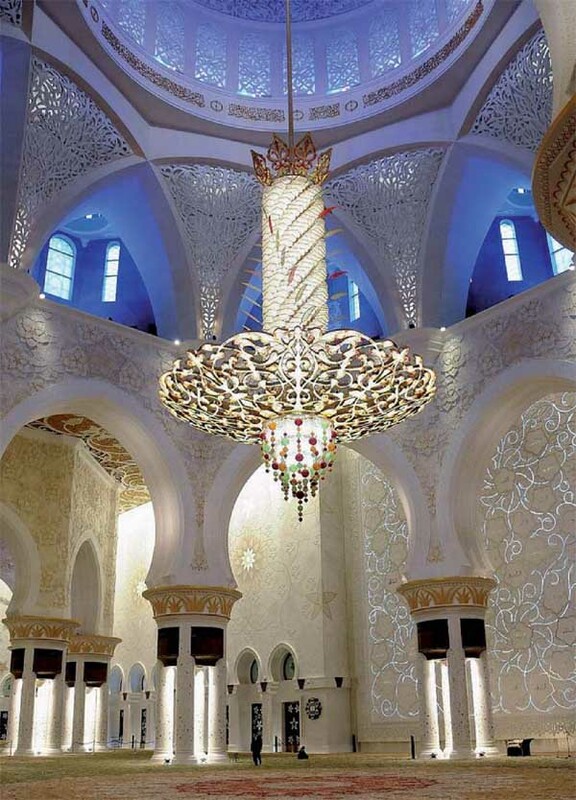 The Middle East Lighting Design Award was given to Speirs and Major Associates in recognition of the significant contribution the lighting has made to the internal spaces of the building and the technical level of difficulty in achieving the result. One of SaMA’s core philosophies is to avoid seeing visible equipment and we set ourselves a challenging task when we declared our intention to hide as many of the luminaires from sight as possible. For the interior spaces, we developed an approach that relied upon reflected light coming back from the wall surfaces and managed to secrete the luminaires in recessed zones around the perimeter of the spaces. The implication of which is that when the visitor walks into the space and instinctively looks upwards there is no glare. The challenge of evenly washing a 25 metre tall wall from close offset was demanding and required many tests to finally resolve. 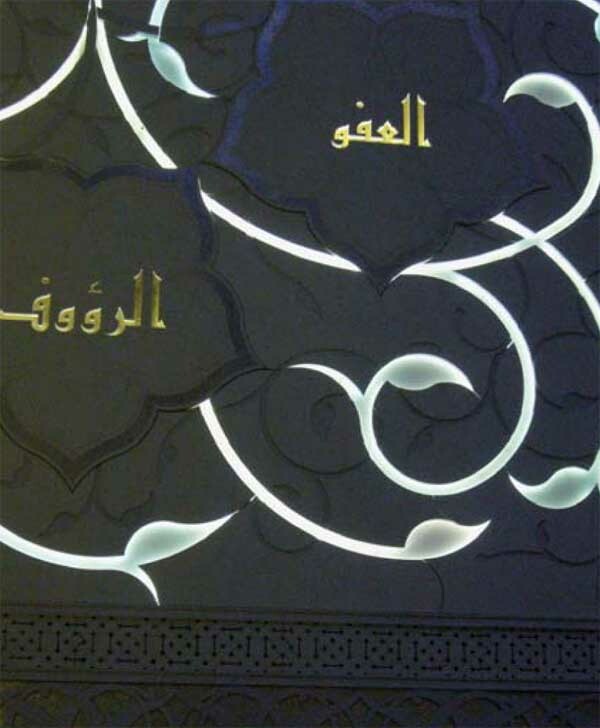 The Qibla wall that faces Mecca and is the primary focus during prayer time has integrated fibre optic lighting illuminating both the decorative floral patterns incised into the marble as well as ninety nine different calligraphic representations of the name of the Prophet. The client is also delighted with the result and we are looking forward to the completion of the exterior in the next few months.